Looking to natural forms for weather protection, the bijao leaf contour is used as the roof shape and modular form repeated through the structure. 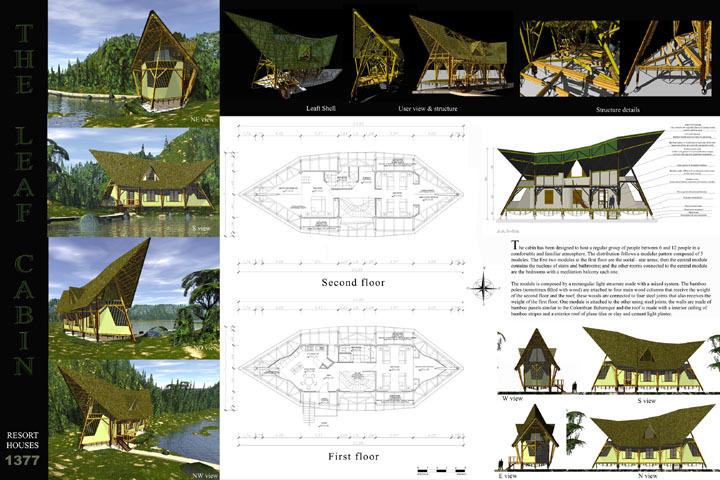 The Leaf Cabin is meant for a jungle setting and uses the Bahareque building style for the walls. Bamboo strips are used for the interior ceiling and the roof is made of clay and light cement plaster.